What’s better than making money? Making money in the sun, of course! The amazing part about this game is that you don’t even need to leave your sofa to play it which means absolutely zero grains of sand between your toes. This 3 reel casino slots online features all your usual scatter symbols and endless free spin bonuses. This amazing game is designed and conceived by Rabcat, an Austrian game development company that debuted on the virtual casino gaming market in 2001 with their moto being the paradigm of design in general “Quality and Quantity”. As far as we have seen from them, they have kept their work up to the standards of their motto, providing excellent titles to the market such as Sunny Money online slots game. They have so far proved a good example of putting your money where your mouth is, assembling amazing games, that consist in stunning graphics and intuitive, attractive gameplay, just like this slots game you are about to fall in love with. For more slots promotions click here to discover more. Won’t you let the sun waves get you that golden tan on your skin and that golden lingos in your pockets? That’s right, you are so in for a chill time at the beach with this one, as this 5 reels, 15 paylines online slot game from Rabcat software can bring you whooping prizes such as the 20.000x jackpot, as well as a progressive prize scheme as well as bonuses such as wilds and free spins within a modern, attractive and cheerful 3D graphic design. 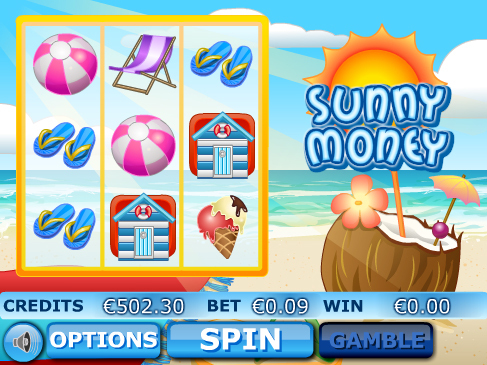 Not many times have we seen a comprehensive design such as these by means of graphics and atmosphere as well as intuitive and attractive ways of playing like we have just witnessed playing Sunny Money online slots game from Rabcat software. 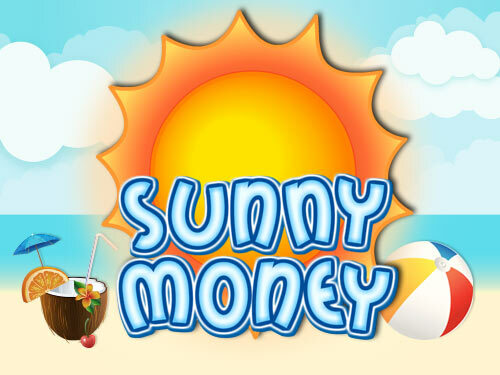 Let’s just seat on the sunny beach sands, by the clear blue sea, on a remote island and think about how you can spend the fortune you’ve just made playing Sunny Money online slots game from Rabcat software. But first of all, let’s talk you through the gameplay so you can master this in your favor. With you being able to play with as minimum as 1 payline, and as max of 15 paylines, you will need to have your wits about you to be honest. Decide on the lines you want to play and then place your bet, from as low as 0.05 coins/line. The most you can bet overall, assuming that you have ticked all lines would be 15.00 coins, which makes it fairly enjoyable as a mid-range betting slots game. This ain’t all by any means as this Sunny Money online slot game brings some fizzy extras with it, such as wilds, scatters and 2x multipliers. A beach with no ladies is like whiskey without ice, so here you have your blonde lady going wild on you and your reels, representing the wild, and being able to replace any symbol apart from the scatter, that is represented by the monkey icon and can bring you up to 25 free spins. With this design, this bonuses and this amazing and intuitive gameplay, we see absolutely no reason not to try out spinning and winning with Sunny Money by Rabcat software. Liked this? Now try our Can Can slot.